Welcome to Camp Wonderopolis 2015! 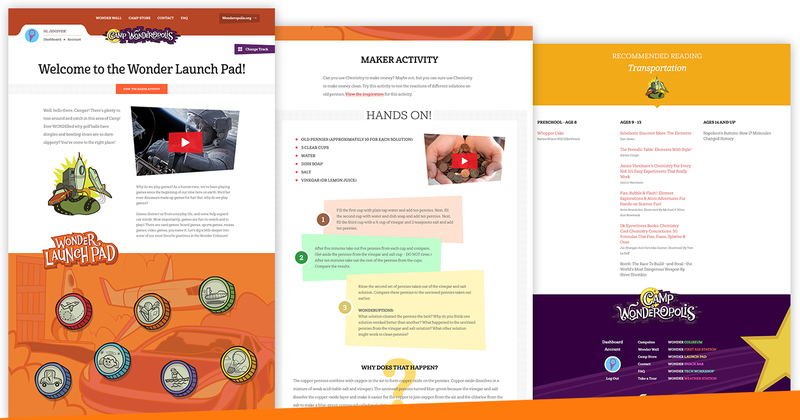 Each area has seven satellite Wonders to choose from, a Maker Activity to try, and great reading picks to check out. 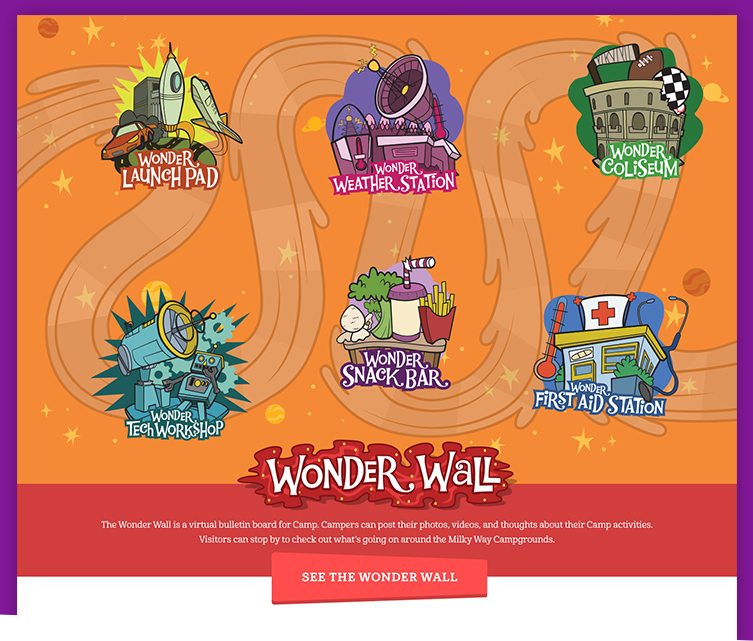 Each Wonder satellite has a video and media gallery, explanation of the Wonder, fun activities, the Wonder Word Wheel, and a quiz where you can earn your Wonder Card. 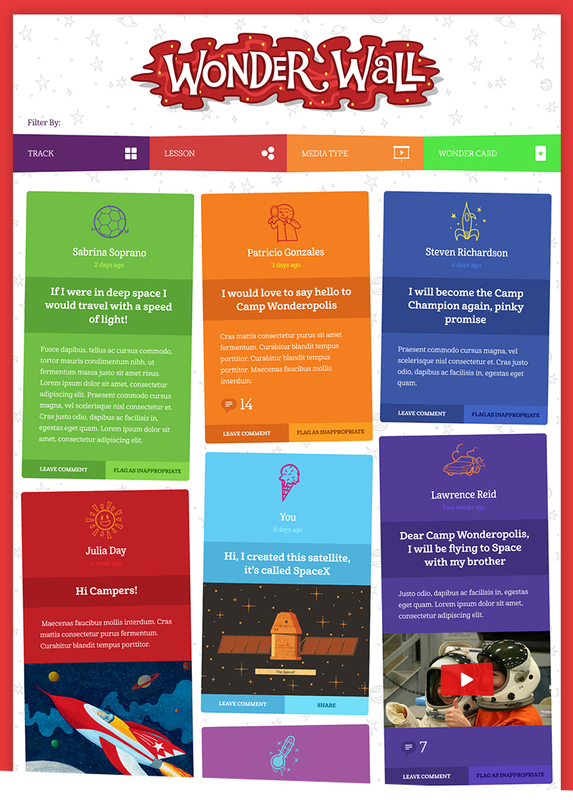 Share your Camp activities and thoughts on the Wonder Wall, our cosmic bulletin board!